BRIGHTON, Mich - Another reason to love the All-New Ford F-150, the Advanced 2.7-Liter EcoBoost® Makes the F-150 More Capable and Efficient than ever. The 2.7-liter engine with an extremely high output and lightweight design is accompanied by an Auto Start-Stop technology creating a stronger and smarter truck. The all-new 2.7-liter EcoBoost® with the standard Auto Start-Stop was engineered exclusively for the new Ford F-150. The engine features a new design that delivers more power and a stronger performance that ever before. 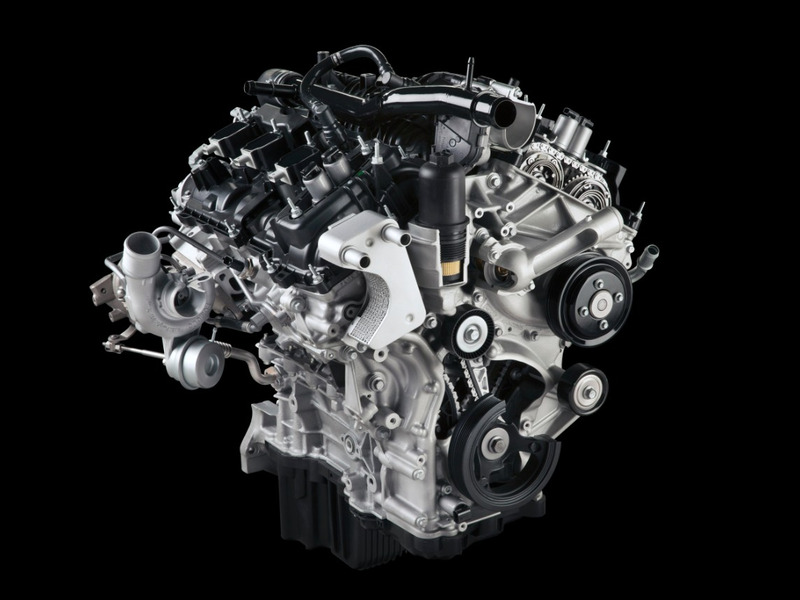 Taking lessons learned from the 3.5-liter EcoBoost, an industry benchmark for advanced truck engines, and applying new technologies created a more efficient engine that can perform like a large mid-range V8. The Auto Start-Stop technology in the new F-150 boosts fuel efficiency and is specially tuned for truck customers. The technology shuts the engine off when the vehicle is at a stop and turns it on within milliseconds once the brake is released. With the exception of when the truck is towing or in four-wheel drive, this technology will give drivers power on demand when they need it the most. In order to prove the 2.7-liter EcoBoost's capability and durability, it had to take on intense environments. Ford labs and the 2013 Baja 1000 provided such environments. A disguised F-150 participated in the Baja 1000 with no additional oil coolers or radiators that are typically added for multi-day off-road races. The truck finished the 883-mile event, which was said to be the toughest in decades, without any problems. The stock air filter was the only part changed during the event. In addition to the Baja 1000, the Ford labs subjected the F-150 to temperatures between minus 25 degrees and 235 degrees Fahrenheit. It participates in fatigue tests that run the engine at full load for more than 17 days and usually at peak torque and power. The Auto Start-Stop is also tested with repeated stop/starts with more than 900 test hours, simulating 240,000 starts and stops. The Advanted 2.7-Liter EcoBoost will Make the F-150 More Capable and Efficient for truck customers every where. Ford Motor Company is taking "Built Tough" to a whole new level! Are you a Ford truck fanatic? Visit Brighton Ford for a great selection of New Ford Trucks! We are proud to serve those in Dearborn and the surrounding areas by providing the best customer service around! Brighton Ford is here to help you with all of your dealership needs. how much will the 2.7 tow?